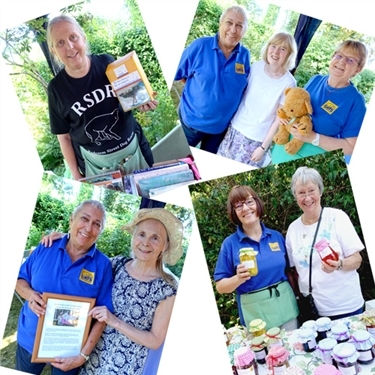 To celebrate her long career in volunteering and her 80th birthday year, Lee Herbert of Jockey Road held a ‘Charity Sale and Social’ on Saturday 30th June which was hailed a ‘great success’. Dozens of Lee’s friends, fellow volunteers and the general animal-loving public turned up to support not only Cats Protection but other animal charities too – including dogs, hedgehogs and elephants – and the funds raised totted up to just over £1,000. CP’s joint coordinator, Jane Holt, confirms ‘how good it was to get together with other charities and meet up again with new and old volunteers and supporters to celebrate and raise money for good causes ‘. ** The next animal event invite is to the PDSA Pet Hospital Open Day. This will be held on Saturday 14 July, 10.30 to 2.30 and Cats Protection volunteers will be there. It promises ‘fun for all the family – stalls, bric-a-brac, petwise MOT talks, competitions and tours'. Address is 1 Dulverton Road, Witton, B6 7EQ.